This is the hardest column I have ever tried to sit and write. Firstly, I want to remember all those people who have been affected by the events in Manchester on the night of Monday 22 May. They are in my thoughts and prayers every day. We have seen the darkest of times reach my home city. I can't yet feel able to discuss the immediate aftermath and the work that took place. But what I want to focus on is the amazing light that shone in the days that followed that horrific incident. Everyone will be aware of the flowers that have swamped St Anne's Square – a place that has become a focal point for remembering those affected. People will have seen the unity shown in the vigil that took place the following day and in a whole range of events still taking place. I, like many, gathered strength from seeing those images of love and unity. Alongside that was the outpouring of support for the police and emergency services that had raced to help people. The work of communication teams takes place behind the scenes. In the wake of the attack, our priority has always been doing the best job we can for the families and those affected by it. They have been at the forefront of our minds all the time. 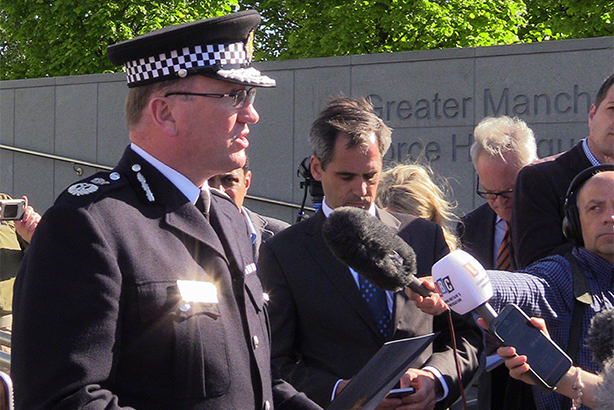 We wanted to do the best for them, for Greater Manchester Police and for Greater Manchester as well. It is what we are still continuing to try to do. I have been overwhelmed by the messages of love and support that the team have received from communication professionals. So many people have thought about us and shown huge kindness. It wasn't expected but it has been welcomed. From the messages on Twitter and LinkedIn through to handwritten notes, they have all helped to keep us focused on what matters. We are incredibly grateful to people for taking the time to contact us. There is still a huge amount of work to do. We need to keep focused and keep going. I am in no doubt that we will. The team have simply been amazing and I am so proud to be a small part of it. Out of the darkness comes some light.